Tag Archives: Would You Rather? June 1: Digital Portfolios: Student Choice! Goals: Revise, edit, and reflect the student choice piece for your portfolio. Add it to your portfolio site. 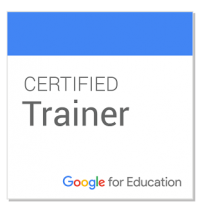 Open #077 Starter on Google Classroom. Read the directions carefully before you start. Next , choose another writing sample to include in your portfolio. This may be a poem or something you wrote in weekly pages. You may also choose something you wrote in another class. Goal: Read and keep track of progress. Participate in book talks. Say an argument with a clear claim, support, and a consideration of the counterargument. Listen to your classmates’s arguments. Absent Yesterday? Complete the starter, and be prepared to give your speech. Complete the starter. Fill out your reading log for this week ending in 1/26. Make sure your reading log is in your English folder in Drive. Read the speaking tips below to prepare for your mini-argument speech. As you listen to your classmates’s speeches, take notes on what you hear. You will vote on the top three most persuasive arguments. Take notes on the top of your English Journal Doc. Go to Google Classroom and open the voting form. Vote for the top 3 most convincing speeches. Final Question: What makes a good argument? Give at least three ideas. Goal: Say an argument with a clear claim, support, and a consideration of the counterargument. Open the starter in Google Classroom. After you answer today’s question, see your classmates’s answers. Review the “Would You Rather?” slides from yesterday. Click HERE to follow along with the slides on your own. Read the speaking tips below. Practice giving your speech to your partner. Ask him or her to time you to make sure you are under a minute. When it is your turn to listen, say, “Thank you,” when the speaker is done. Give your speech and listen to others!